Written by Brook Reilly. March 12, 2012. At the same time, working from home brings numerous benefits to one's lifestyle, and feng shui can help you make the best of it. If this is the path you've chosen for yourself, I would like to help you create a successful home office by sharing some basic feng shui office tips. An important office feng shui guideline is to have your home office as far from your bedroom as possible. 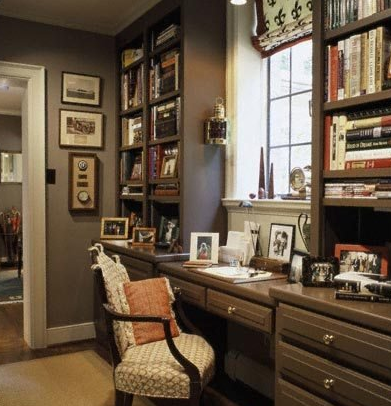 If the layout of your house allows, having a separate entry to your home office is ideal. If this is not feasible, be sure to create as much division as possible between your office area and your bedroom; this is the basis of good home office feng shui. Tags: feng shui, home office, office feng shui. ← Do You Have Leaks In Your Basement?